Bloggers are right; there is a powerful case for blogging. Yet, blogging is seen as a bit of a “side issue” online – most companies do not have a blog and most blogs are personal affairs, rather than business related. But that doesn’t mean you should ignore them. In fact, companies that place blogging at the heart of their business are amongst the most successful online businesses you can find. So, if you have yet to take the leap into blogging – or indeed if you already do it – here are five powerful reasons which confirm that blogging is the right thing to do. In spite of the vast amount of online video added to the web each day, the number-one activity on the web (by a long, long way) is reading. People are scouring the web for new and interesting stuff to read. If you write a blog you are providing that new and interesting material they are looking for. 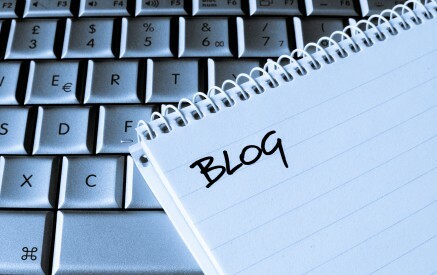 People are avid consumers of blogs – if you write a blog you will get readers. Blogs are the most shared items on Twitter, Facebook and other social networking sites. In a simple analysis of my Twitter stream I identified that 80% of the shared items were blog posts. The remainder were videos, interesting sites and comments on blogs or in forums. If you write a blog, the social side of the web will promote it for you. Without a blog, you are much less likely to get your material mentioned on social networks. Most businesses do not blog. If you write a blog you have a competitive advantage over your nearest rivals. Simple. Research conducted by Hubspot confirms that businesses that blog generate more leads online than businesses without blogs. In other words, if you write blogs you get more people interested in doing business with you. That’s nice. A study performed by EngagementDB demonstrates that the brands which blog – and who blog frequently – are the ones that made more money last year. Companies that did not blog actually made a loss. Their research shows a clear and straight-line link between blogging (and other social tools) and profits. The more blogging you do, the more your profits rise. Well, they seem five good reasons to blog but wait….. There is another excellent reason why you should blog. Regularly writing material that will be of interest to your target market changes your thinking patterns. It forces you to think about everything much more from the perspective of your customers and prospective clients. Blogging makes you “step into their shoes” – otherwise you cannot write anything interesting. One of the main reasons why companies lose business is because they fail to see things the way their customers do. If you blog regularly this becomes almost second nature. Even if you don’t benefit from the other five reasons (and you will! ), blogging will change your thinking – and that could have the most impact on your business than these five reasons added together.